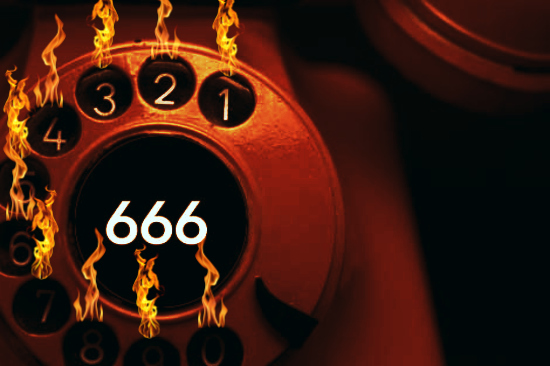 Daily 2 Cents: Phone Call From Hell -- D.B. Cooper Letter Confirms FBI Cover-Up -- Revelations From a Time Traveler? “I have an odd ghost story that plagued me for a little while. I had this friend. I knew him since we were little children but as we got older we grew apart. I got a job, but he became a drug dealer / gang banger who, as the stories go, left many dead bodies in his wake. As I said, we had grown apart. One day in my early 20's, I received a phone call at work informing me my former friend had died. His life had caught up to him and he had been murdered. I go back to work and think nothing more about it. Later that night, I get home, do my nightly routine, and go to sleep. Well, about 2:00 AM, I'm woken by a phone call. Nobody ever calls me that late so I know something is up. 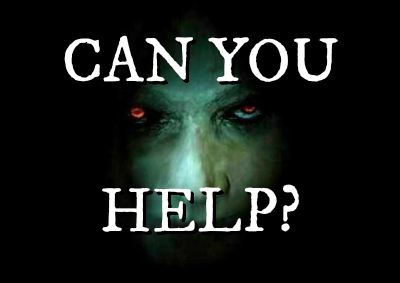 I answer the phone only to be greeted by the most hellish roar like high heavy wind and screams, terrible screams, then I hear my name being called begging me for help. "Please God, I need help! It hurts! I don't know where I am." The voice sounds like it's coming through a tunnel, like it's so far away. In a panic I ask, "Who is this? Where are you?" The man answered, "This is Brandon..." My friend who had died. Then the line goes dead. This happened three times that week. I can't help but wonder, did my former friend call me from Hell?" Crestview, Florida - 2017-11-12 - I was taking my usual, evening walk and witnessed a jet black entity run from the woods, across the street, and what I assumed to be down a cul-de-sac. The entity ran below a street light, but had no reflection - like phantablack (I think that’s how you spell it) color. I expected to see a rippling of clothing, but I couldn’t see any clothing bulges. Imagine the male figure on bathroom signs - that is essentially what it looked like as it ran across the road. It also had bad running form - instead of keeping the arms tight and proper, this entity kind of flailed it’s arms about as it ran. Ihe arm motions were certainly exaggerated. Revelations From a Time Traveler? A Crashed UFO Tale: Inspired By A Novel?